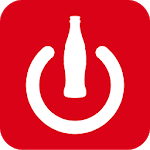 Enjoy our offers and Coca-Cola vending machines with "Coke ON" ! 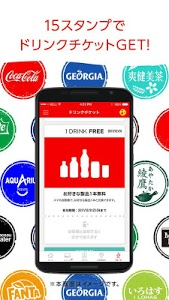 Collect stamp with Coke ON compatible vending machines and get a free drink ticket when you collect 15 stamps. Take advantage of our special offers only available on Coke ON such as free drink trial campaigns and double stamp campaigns. You can also share your free drink tickets with your friends. Enjoy Coca-Cola products with your friends! • COLLECT 15 STAMPS,GET 1 DRINK FOR FREE! 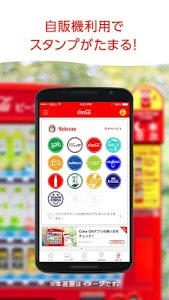 If you connect the Coke ON app with a smartphone compatible Coca-Cola vending machine, you'll get a stamp every time you make a purchase. Collect 15 stamps and you'll get a free drink ticket that you can exchange for a drink of your choice. • JUST SWIPE TO EXCHANGE TICKET FOR A DRINK! Swipe your digital drink ticket towards the vending machine and get a drink! To use your drink ticket, select a beverage on the Coke ON app and swipe it towards the Coke ON vending machine! Enjoy a new vending machine experience! • ENJOY SPECIAL OFFERS ONLY ON Coke ON! Only on Coke ON! Take advantage of our special offers. Take advantage of our special offers such as free drink trial campaigns and our double stamp campaigns. You can enjoy campaigns depending on your location or usage time. Check the app and take advantage of our special offers! Set your weekly step goal and start walking. Get a stamp every week by achieving your weekly target. We'll also be rolling out special Coke ON Walk campaigns. Walk every day and get a free drink! • Please make sure you have good reception when using this app. 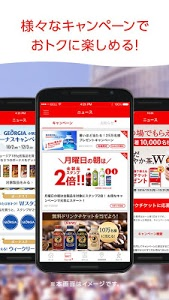 • You can get stamps and exchange drink tickets with smartphone compatible Coca-Cola vending machines. 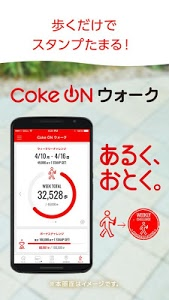 • Coke ON uses Bluetooth function to connect this app with a Coke ON vending machine. When you use Coke ON, Bluetooth and Location Services must be turned on. • With Location Services turned on, you'll be able to take part in regional campaigns. • If Location Services is turned on "only while the app is in use", you won't be able to receive notifications from vending machines or connect with a Coke ON vending machine in the background. 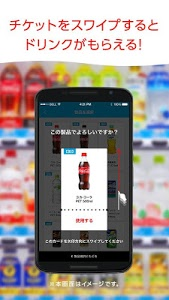 • The app will use GPS in the background to search for Coke ON vending machines nearby. Continuous use of GPS will significantly drain your smartphone battery. Depending on the device, the app may not be displayed correctly. Thank you for using Coke ON. There are a number of updates in this version. • Adjusted the internal processing of app. Please feel free to share your feedback with us. We look forward to hearing from you.